Partners for a Healthy Wadena Region (Partners) is a non-profit 501 ( c ) (3) development corporation with a mission to increase opportunities for a better life for all who live, work and play in the Wadena area. 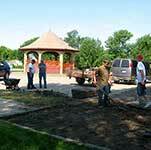 The Partners recognize that no one person alone can make the major efforts to improve a community or a region. For this reason, this organization strives to implement its mission by providing opportunities for input and participation to determine how to proactively address critical issues facing the future of the community and area. In years past, Partners has assisted with the and renovation of the Cyber Café and streetscape project that brought decorative Art Deco designed street lamps to Wadena's downtown. A three year business planning and development support project that assisted entrepreneurs in possible business start-ups and expansions ended in 2006. These successful initial projects drew on the work, skills and financial contributions of many local businesses, individuals and community organizations. 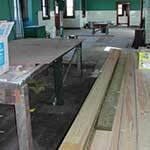 In 2007 Partners embarked on two more major projects: the complete restoration of the historic Wadena train depot and the development of a program to strengthen heritage tourism. 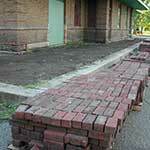 The Depot Visitors Center and railroad museum opened in 2008 restoring its former presence in the center of town. Built in 1915 and listed on the National of Historic Places, The Depot is a wonderful place to view historic depot photographs and artifacts. It is open seasonally free of charge to everyone. 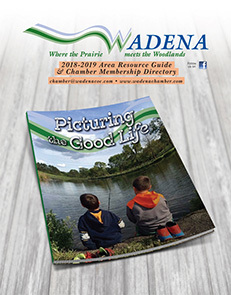 The Partners collaborates with the Wadena Area Convention & Visitors Bureau to provide area information and to serve as a starting point for various Wadena tours such as the Murals of MN and the Historic Building Walking Tour which are part of the tourism program. 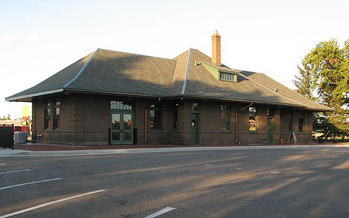 The Depot Visitors Center is also available for rent and can be used for wedding receptions, showers, trainings, meetings and various parties, fundraisers or celebrations. A new program now being developed in 2010 is an interactive exhibit that shares stories told by former railroad employees and others who came and went from this depot. 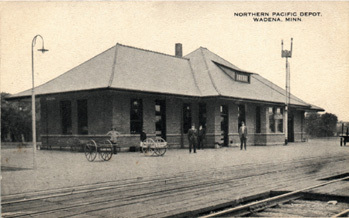 In Wadena's early history, people came to and left from this depot that connected Wadena to the larger world. The beautiful city park surrounding it became the center of the community life, and continues to be the site of band concerts, community dinners, the farmer's market, festivals and family picnics. It is also a great place for rail fans to do train spotting with 75-85 trains per day providing plenty of photo opportunities. 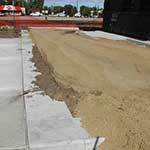 The restoration of the 1916 bandstand situated in front of The Depot is a project that was completed jointly with the City of Wadena during 2009 and 2010. 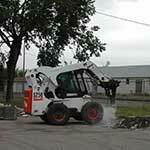 The community enjoys being able to once again use the "off-limits" structure. 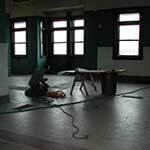 Projects, programs and activities taken on by Partners are strategically selected. They require partnerships locally and many on the state and federal levels. The long-term intention is to to develop Wadena and the region as a place people want to live, to expand or start-up a business or to bring a family to live. One organization cannot do it all but if a team of committed generous community members are willing to work together the possibilities are endless. The Partners is located at The Depot. The is 218-632-5999 and the website is www.thedepotwadena.org. ‍Contributions to current projects and volunteers are always welcome.